Our highly skilled chimney technicians offer chimney cleaning services, chimney flue installations, chimney liner replacements, chimney cap installations and more for residents in Jackson CA, Ione, Sutter Creek, Volcano, Herald, Fiddletown, Drytown, Acampo, Valley Springs, and all of Amador & Calaveras Counties. The National Fire Protection Agency (NFPA) recommends having your chimney cleaned annually to prevent dangerous chimney fires and keep your fireplace or insert operating safely and efficiently for years to come. After a busy burn season, have our experience chimney technicians come out and perform a sweep of your chimney & flue to make sure you are ready for next winter. We are committed to showing up at our scheduled appointment time, performing a thorough cleaning quickly and efficiently, and leaving your home as clean as it was when we arrived. 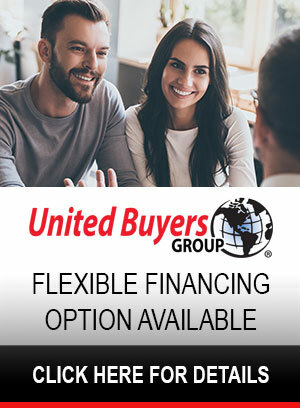 Whether you are installing a new fireplace or insert or you need to replace a deteriorated chimney liner, we can provide installation of a new stainless steel chimney liner that meets the specifications of your heating appliance. 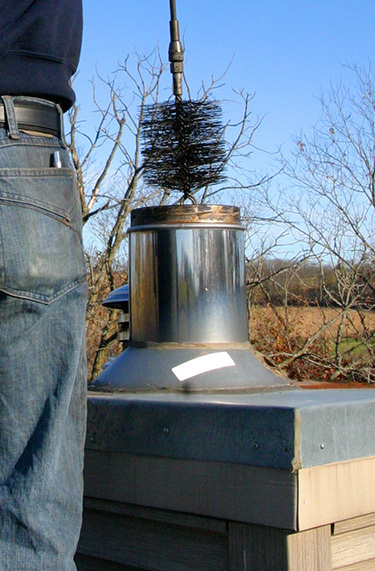 A solid chimney liner is a critical component of your chimney & venting system. Your chimney liner should be free of cracks & vulnerabilities since it is essential to the safe operation of your wood fireplace or insert. A deteriorating or cracked chimney liner can pose a number of potential problems so it's important that these issues are taken care of immediately. 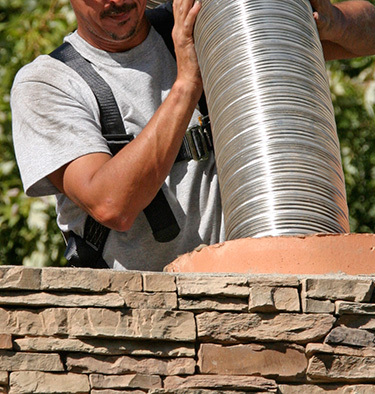 Our chimney technicians provide stainless steel chimney liner installation and relining services to help protect your chimney from erosion and deterioration. Replacing or installing a chimney cap is a cost-effective way to prevent future chimney problems such as water damage, chimney blockages, or liner damage that can often result in costly & time-consuming repairs. A chimney cap is more than just a decorative metal topper. It is a safety feature that is installed over the opening of your chimney flue to prevent moisture, debris, and critters from getting into your flue. Our professional chimney crew can install a brand new chimney cap or replace a broken or worn out topper with a beautiful, high quality chimney cap. 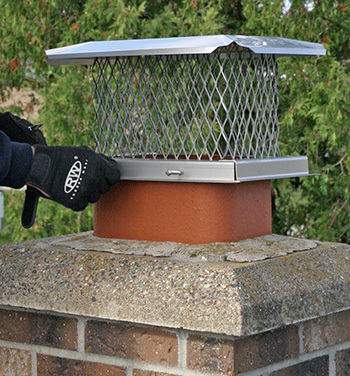 A quality chimney cap installation is one of the best investments you can make for your chimney system. Contact us today to find out more about our chimney cap options. Whether you are looking for annual cleaning and maintenance or a specialized chimney service like chimney liner replacement, Sierra Hearth & Home has you covered. Contact us today to find out how we can provide solutions for your common chimney problems quickly and affordably.